Welcome to Jazz & Blues Florida! Florida's clubs, concerts and festivals. Click here to open magazine in online reader. Click here to open/download pdf. Or, just click on the really cool cover page! All advertisements are LINKED. Just click on them for more info! We have the only FREE monthly publication dedicated to previews of upcoming jazz and blues shows in Florida that you access by simply clicking on the cover? We have the most comprehensive and active (over a 1,500,000 VIEWS!) news blog for Florida jazz & blues news www.jazz-bluesflorida.blogspot.com ? 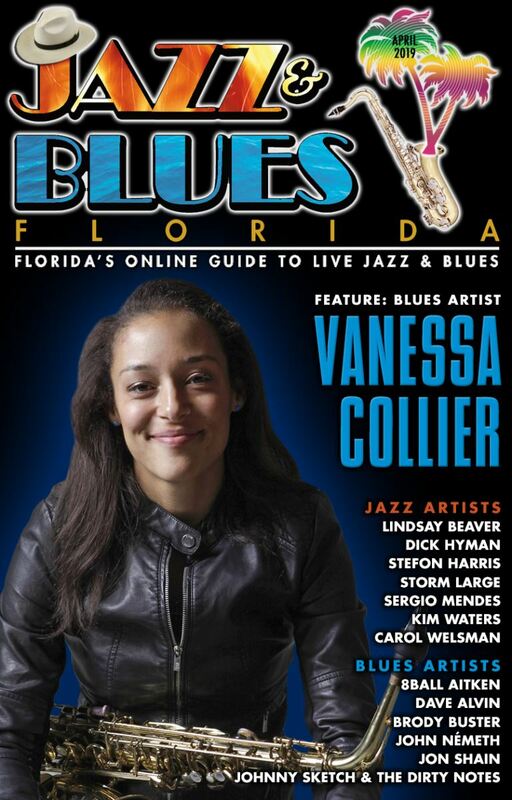 We have the most comprehensive festival page for Florida jazz & blues at www.JazzBluesFlorida.com/Festivals ? Use our free services listed above and please contact us for additional information about our extremely affordable and multi-faceted promotional / advertising platform for artists, venues, CD Release & Promo, Music Festivals, Special Events, Music related businesses, and more. 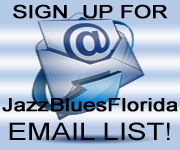 Email Charlie@JazzBluesFlorida.com for more info.